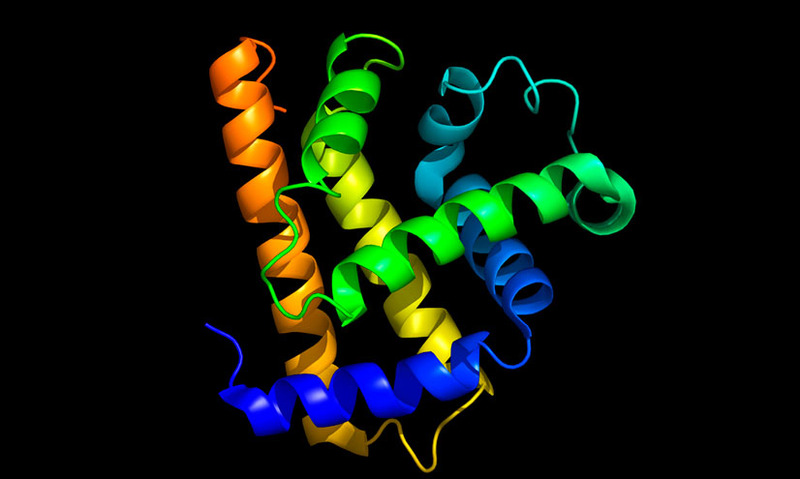 A protein found in muscle tissue that performs a similar role to hemoglobin in the blood, as a carrier of oxygen that releases it to cells when required. As in hemoglobin, it is iron in the myoglobin molecule that binds to and releases oxygen. It is myoglobin that gives red meat its color. As in hemoglobin, it is iron in the myoglobin molecule that binds to and releases oxygen. It is myoglobin that gives red meat its color.